Since launching 20 years ago, Netflix has transformed from a DVD-by-mail service into the undisputed king of streaming video. The company now has more than 104 million subscribers across the world, a 25 percent increase since last year and quadruple the number of customers from 2012. On any given evening in North America, Netflix streaming accounts for more than a third of all download Internet traffic. The company’s lineup of original shows and movies are also a hit with critics as well as customers. This year Netflix received a total of 91 Emmy nominations, second only to HBO. Of course, producing a slate of more than 50 original television series doesn’t come cheap. To create all this content, Netflix has taken on more than $20 billion in debt. In 2017 alone the company will spend $6 billion on original programming. Analysts expect this could lead to an annual loss of $2.5 billion, up from $1.7 billion last year. Stockholders largely aren’t worried, though. Many see these enormous expenses as necessary if Netflix wants to thrive into the future. Plus, the company’s subscriber growth has remained steady and its stock price has surged by nearly 50 percent over the year. Other observers aren’t as optimistic, however. These critics fear that Netflix will drown in debt before they’re ready to reap all the benefits from its original programming. The company eventually wants 50 percent of its streaming options to be developed in-house, a goal that will require Netflix to operate with little to no cash flow for the foreseeable future. If all goes according to plan, this huge collection of original programming will keep drawing in new subscribers for years to come. Developing shows in-house also allows the company to keep a bigger share of the profits rather than splitting up revenue with outside producers. But with so much capital invested up front, Netflix could face disaster if it fails to draw in new viewers. Competitors like Hulu and Amazon pose a substantial challenge to Netflix’s dominance as well. Only time will tell if the company can continue to stand out in an increasingly crowded pack of streaming video providers. 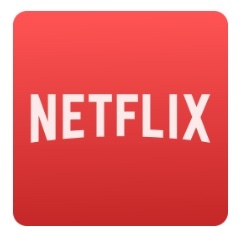 Do you think Netflix’s long term plan will succeed? Are they “spending money to make money” or simply taking on too much debt? Why does Netflix want to create original content rather than rely on licensing shows from outside companies? Source: David Ng, “Netflix Is On The Hook For $20 Billion. Can It Keep Spending Its Way To Success?” Los Angeles Times, July 29, 2017.